This past week has really been a hodge-podge of weather. From rain to sun, throw in a bit of snow, bring back a bit of sun and then revert back to rain. 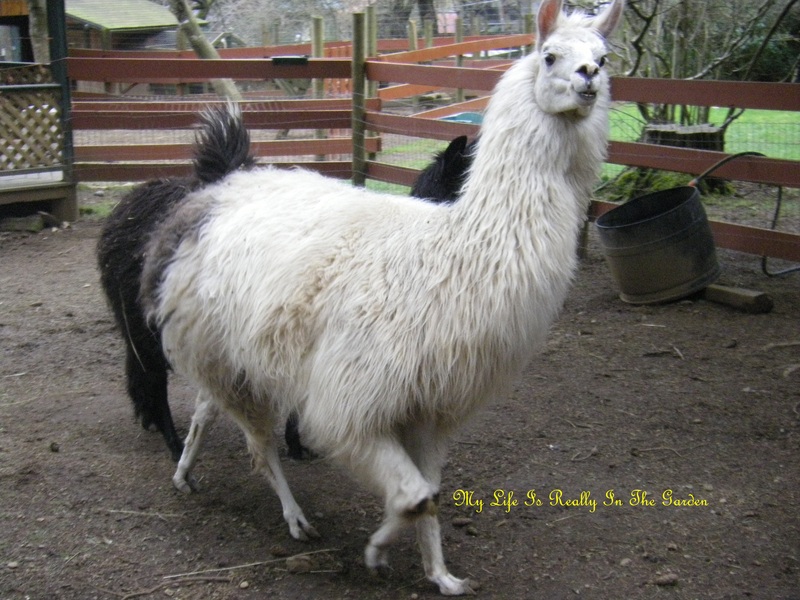 I’ve been searching for alternatives to cow and horse manure, deciding to try Llama manure. And searched Used Victoria .. there were three choices. The first choice was a very interesting place. 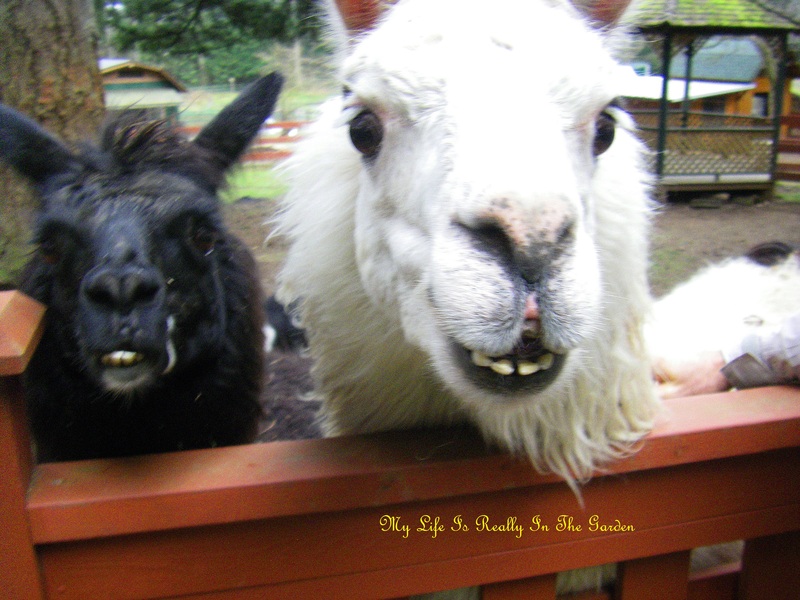 The owners had a lovely farm, many llamas, most of which were mini-Llamas. And so I purchased a number of bags of manure from them. The second place I went to on Saturday and what a delight this was! A young family live here and the atmosphere was very reminiscent of a property in France, and what do you know, this family was from Quebec, and thus the French atmosphere. What do I mean by that? Well, for one thing, the property was naturally beautiful. There were flagstone pathways, natural looking gardens. 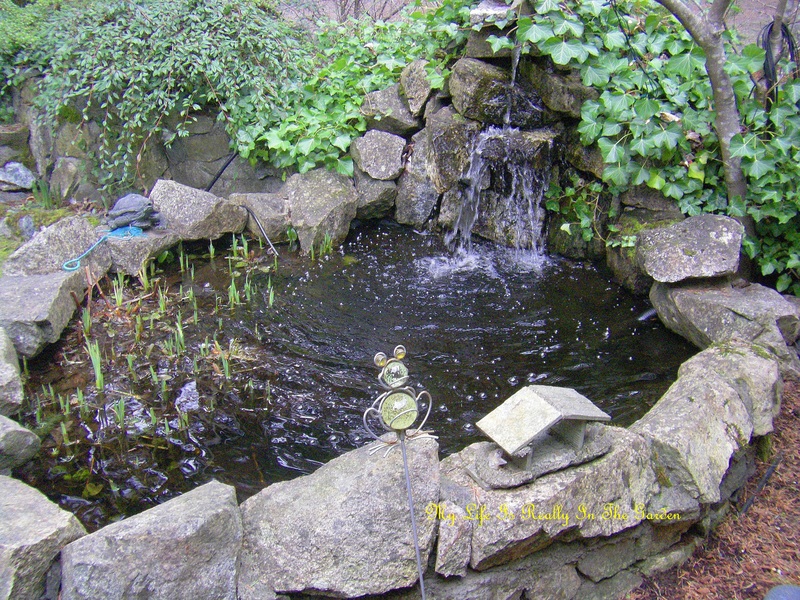 And this lovely pond. The owner turned on the lights and the water feature motor so that I could see how it looked. Then he invited me to the back of the property, and I passed through a vine-covered archway, a cloche-covered raised bed and then …. I couldn’t help it .. I just started laughing at such an unexpected tableau! 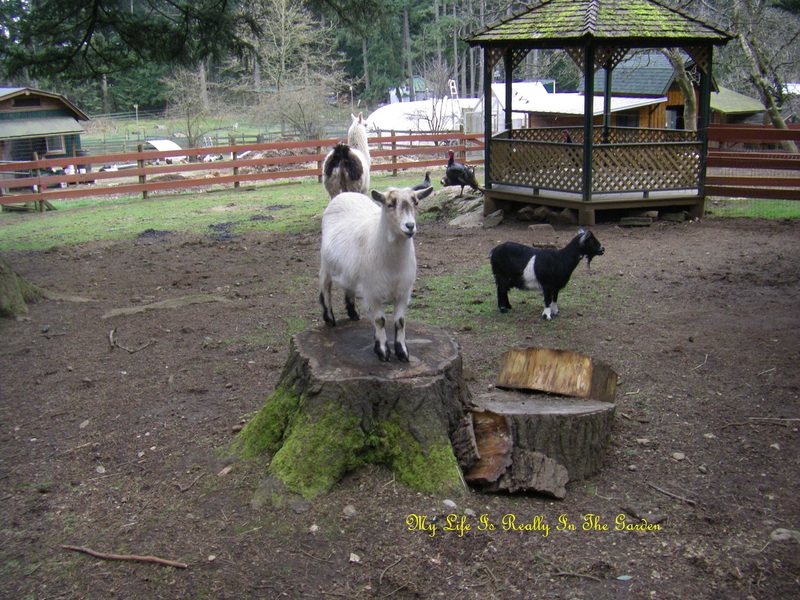 I was expecting to see a few Llamas, but instead, was treated to the sight of these darling little goats! How very sweet. 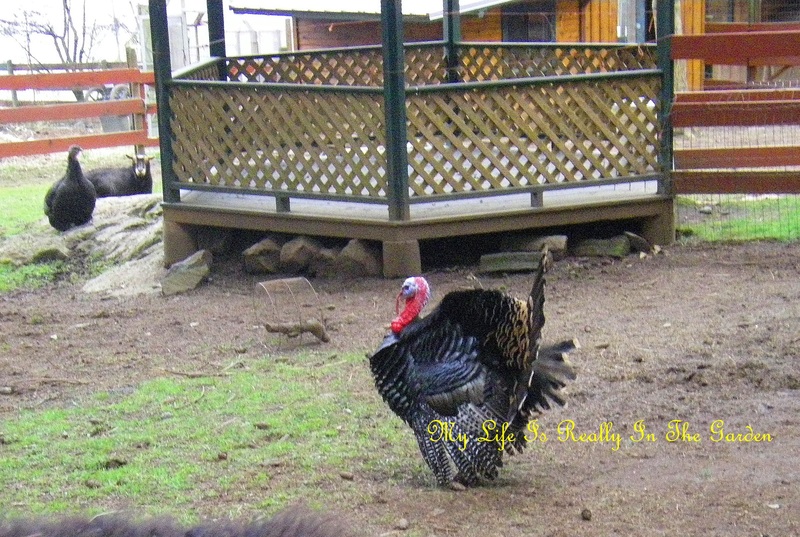 There was this magnificent rooster, who strode up to the front and puffed out his feathers … yes, you are handsome, I said. Just then (coincidentally???) 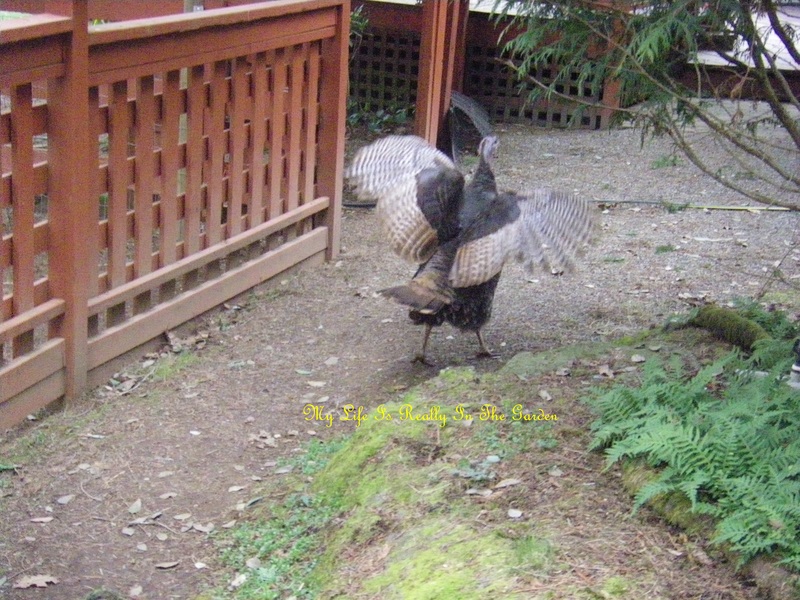 a female turkey (ok, I don’t know the terminology) flew over the fenced area and, waving her wings .. walked away from where I was standing. In Turkey language, I think this must translate to “oh, for heaven’s sake” or something like that. Then I took a closer look at the goat … who seemed to be thinking .. well, they are at it again .. .so, look at me, aren’t I the clever one! Then I noticed some movement at the back of the paddock, and it seemed that the Llamas had noticed my presence. 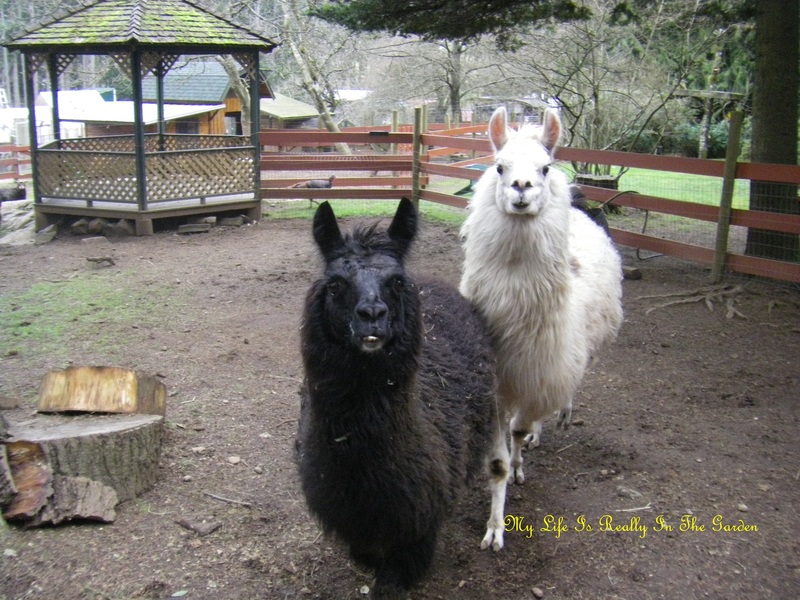 The owner explained that they were a mix of Llama and Alpaca, same father, different mothers. I missed the rest of his explanation as I was totally drawn into watching them, watching me, watching them, etc. Ok, by this time I was laughing so hard at their antics that I really didn’t focus the camera that well .. look at their expressions .. so curious, so friendly , so .. well .. goofy! How could you not laugh! 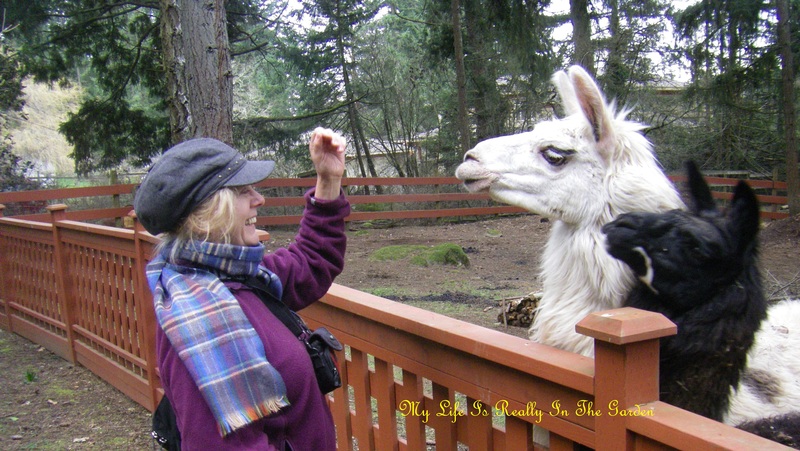 If only Llamas didn’t have such a reputation for spitting .. they would be the ultimate therapeutic animal to bring laughter to anyone! Such a mood elevator they are! Then I tried to pet one of them, I was still laughing so hard and wondering if they would bite, that is why I was so hesitant .. I really love these guys, they are so sweet. So the owner took a picture of me so that I would have a good souvenir, isn’t that great!! 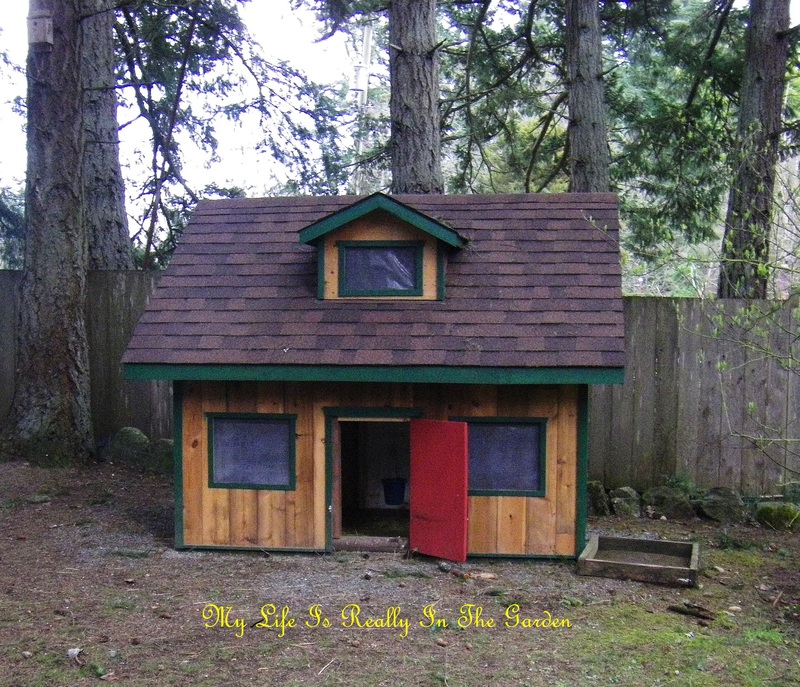 The owner had built this little shed for holding various items for the care of the animals. He was also teaching their sons how to build things and I think they had been involved in this structure. I just loved the look of this building, and would love a larger version for a garden shed. A gal can dream, eh? Oh, by the way, I purchased 5 bags of Llama manure, they each weighed about 50 lbs., quite heavy and they fit quite nicely in my Echo car, on a tarp, neat and tidy. He assured me that they do not used medications or pastes so that I can use this manure in my food garden. He also told me that the manure is magic for the garden. So now, armed with the power of EM and the beneficial Llama Manure .. I will have the best garden yet. When I arrived back home, parked the car and started to get ready to unload the Llama manure.. my attention was caught by the emergence of the Lupines at the front of the house .. they start off small with accordion-pleated leaves and in just a short while, they grow into plants that are at least 3′ high, with many blossoms for the bees. 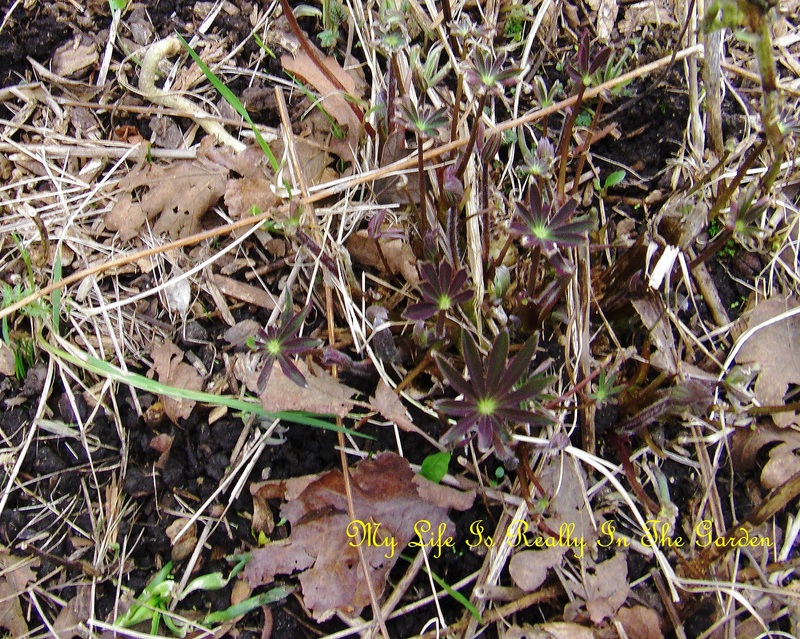 Grow on Lupines!!! They self-seed and are a lovely addition to the flower garden. 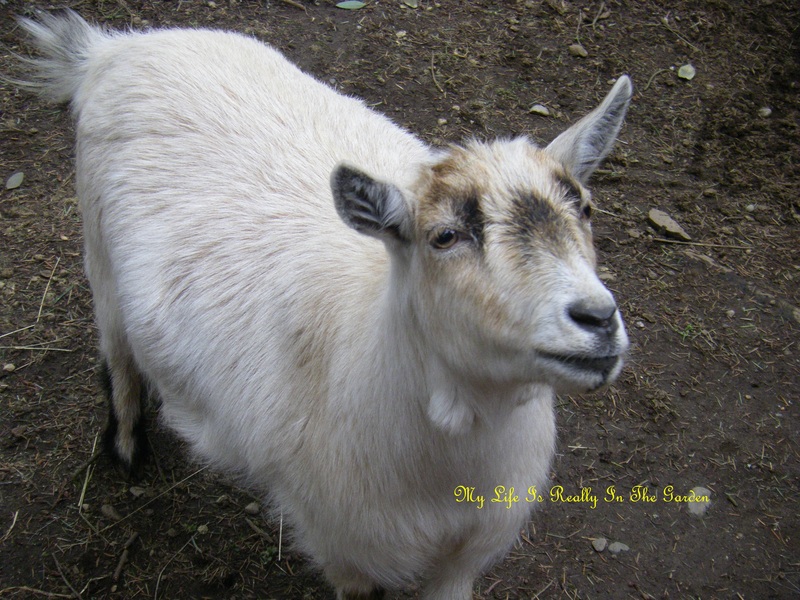 Categories: Gardening | Tags: Alpacas, goats, joy, laughter, llama manure, Llamas, Lupines, turkeys | Permalink.